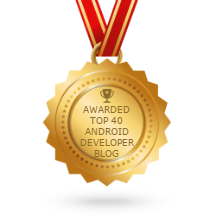 The popularity of Android devices has grown exponentially over the last decade. 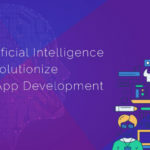 With this comes the growth of Android apps as almost every business is investing in them to reach and connect with the audience base using these devices. Beyond this, there are many more ways that these apps are bringing about transformative improvements for various industry verticals. 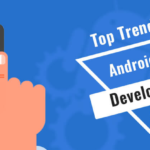 Let us see the 6 industries that are making an investment in Android app development services to experience the unmatched benefits these apps bring. Android apps have elevated the standards of patient care and brought about tremendous growth in the healthcare industry. They have streamlined connectivity between patients and doctors, with facilities such as remote consultations, virtual health monitoring, and app-scheduled appointments. Providers can keep a check on the patient’s health metrics while they are at home and send emergency heath when needed. Moreover, Android apps also facilitate collection and secure maintenance of medical records of patients. Another industry that has experienced the mobility boom is banking. In fact, almost every player in the industry has already invested in Banking app Development, while others are closely following suit. 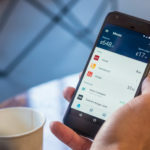 These applications have brought banks right at the customer’s fingertips as they can transact, check balances, pay bills, and so much more in just a few clicks. They also offer complete security in transactions along with fully personalized experiences. 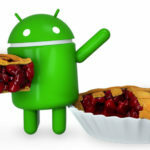 The manufacturing vertical to is leveraging Android apps to its advantage. 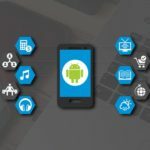 Since a large number of concerns have embraced the Bring Your Own Device (BYOD) policy, there is a need for Android apps to keep the employees connected with the businesses. With these apps, manufacturing units can track employees, monitor their efficiency, and be connected with them at all times. Apps also digitize the processes and reduce the paperwork, while driving efficiency in processes such as inventory management and supply chain management. Mobility has disrupted the retail scenario, with a majority of businesses shifting to e-commerce and subsequently m-commerce. 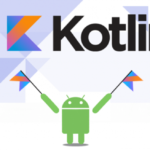 A majority of customers are Android users which is the reason that sellers need to take up Shopping App Development services to cover this segment of the audience. Shopping apps take the buying experiences to the next level by enabling the shoppers to access the online store anytime and anywhere. They also facilitate personalized targeting with features such as push notifications and location-based messaging. Another vertical that is fast embracing Android-based applications is travel and hospitality. Be it taxi booking, food ordering, hotel reservation, airline or rail ticketing, or more, there is hardly any aspect that does not have an Android app to manage it. There may even be some for language translations to help international travelers. These applications simplify the travel experiences and make them much more enjoyable. Mobile technology has brought extensive improvements in the education sector, with learning and teaching made easier than ever. E-learning apps for Android enable effective communication between learners and trainers. The ones that are empowered with technologies such as Augmented Reality and Virtual Reality serve as interactive learning tools and are used for simulative training. Education is no longer confined to classrooms and now fits right into the learner’s pocket. 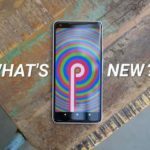 The list of industries witnessing the Android revolution is long as these applications have something to offer for every single business. There is a need to join hands with an expert application development partner who can understand your unique requirements and create a solution to match. We hold expertise in this platform and create business-centric apps to fulfill diverse needs. 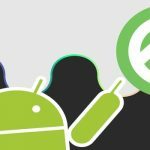 Tags: Android Apps Development on July 10, 2018 by admin. Mobile app developers sometimes overlook several important aspects of creating apps. Smartphones and Applications have become indispensable to millions of people worldwide. These applications also play a leading role in business growth, customer services, and operations.